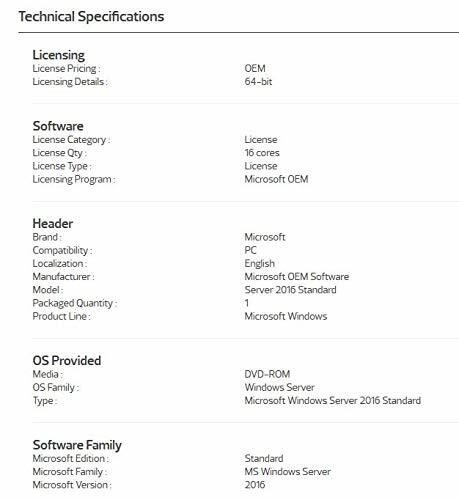 Windows Server 2016 is the latest release from Microsoft from the Server OS portfolio of Products. Unsurprisingly, with this version, Microsoft's focus is on the Cloud Data Platform to offer a consistent platform for both On-premises and Cloud Data Centers. It will give you the ability to choose where & how you want to deploy, bare metal or in a VM, On-premises, Azure or within a multi-tenant service provider environment. 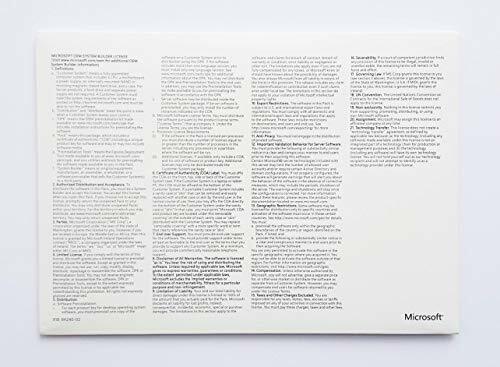 WINDOWS SERVER 2016 STD SYSTEM REQUIREMENTS: Processor requirements: A minimum of 1.4 GHz 64-bit EMT64 or AMD64 processor; Quad Core Recommended for production systems; Disk space: For core installation, a minimum Disk Space of 32 GB is required. Additional 4 GB is necessary for GUI installation. Disk Controller: Needs to be a PCI Express Compliant Disk Controller; ATA/PATA/IDE/EIDE are not supported for either boot, page, or data. RAM (Random Access memory) Requirements: 512 MB ECC supported Memory Modules 800 MB for VM Installations, post-installation, reduce RAM to 512 MB. 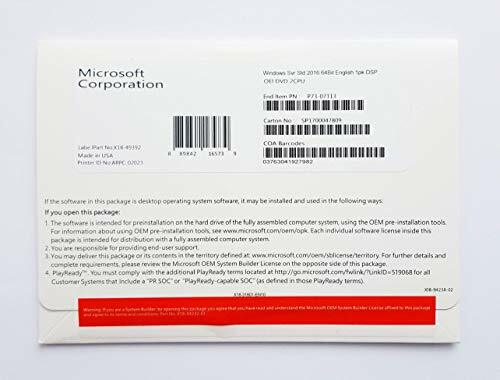 Optional System Requirements Features: Support of UEFI 2.3.1c-based system and firmware with support for secure boot; Trusted Platform Module.